Internationally known for his intrinsic humility, dynamic teachings, and quintessential prophecies, Draper Smith is the Pastor and Overseer of New Destiny Church in Killeen, Texas. His platforms have ranged from radio/internet broadcasts, the Trinity Broadcasting Network, and foreign soils abroad teaching the Body of Christ how to further their intimacy with the Father. Previously a History major of Mary Hardin Baylor in Temple, Texas, he now resides in Killeen with his beauteous wife LaVece and their five endearing children. God has taken fervent delight in every aspect of Pastor Draper’s life, for he is a man who is holy and simply seeking God’s will and Kingdom on earth as it is in heaven. Originally from Illinois, Army Veteran LaVece Smith is a prolific entrepreneur, erudite teacher, and awe-inspiring wife and mother. She owns a flourishing web design company and is a first-rate cake designer/artist, all while being a mother of five and Co-Pastor of New Destiny Church. LaVece is an irreproachable mentor to girls, adolescents, and women; passionately teaching them to become standards of excellence. Her aspiration as a Pastor: for the Body of Christ to come to maturity and fruition in entirety and lacking nothing. 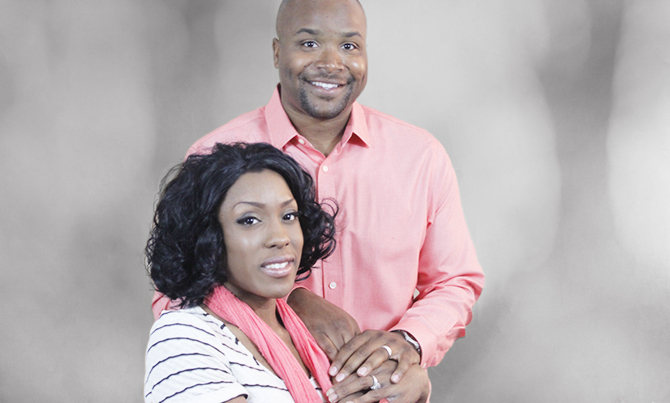 As the wife to Pastor Draper Smith, she dissuades from the common stereotypes of “First Lady” and instructs the biblical position of the ideal wife and woman.